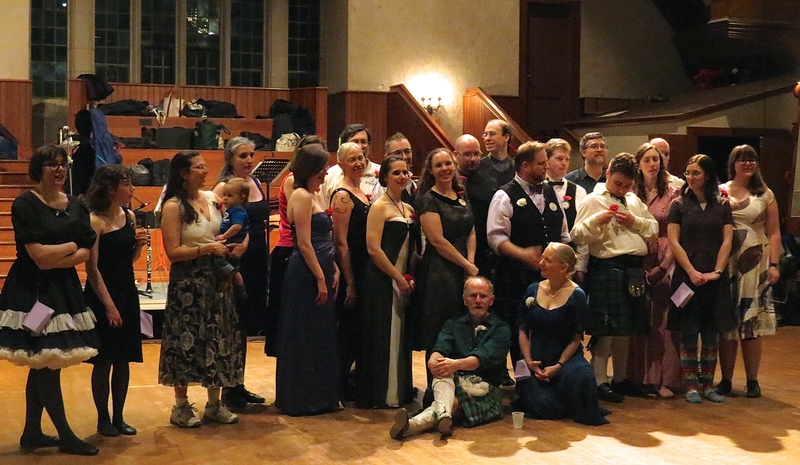 The Swarthmore College Folk Dance Club held their annual ball on February 6, 2016, in Tarble-in-Clothier on the College Campus. Participants included alums from around the country, community members, staff, faculty and students. Susie Petrov and Calum Pasqua provided the music. A bagpiper performed for the grand march as dancers promenaded around the hall. 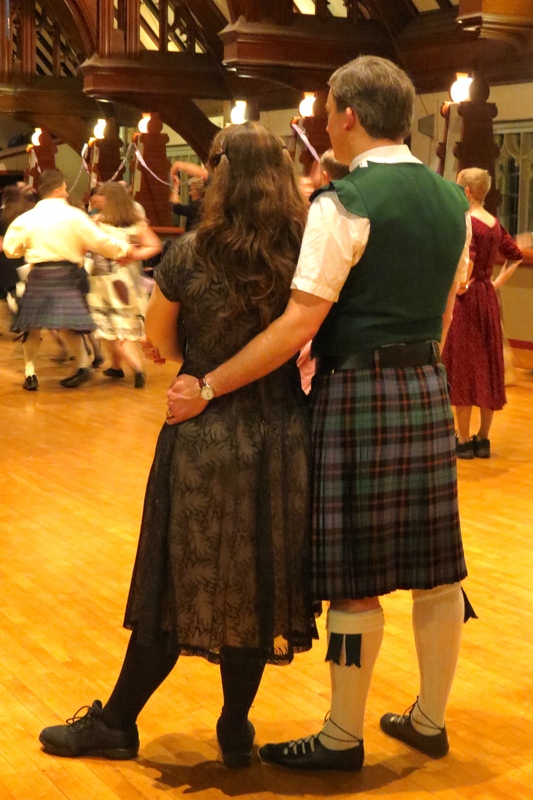 The musicians played twenty-one dances, including Scottish set dances, contra and waltz. Tables of goodies and teas provided refreshments half way through the evening. 1-8 1M casts to 2nd place, crosses & turns 2L RH to end in the send place pop side, 1L casts, crosses & turns 2M LH to end in the 2nd place pop side. 9-16 1s lead down & cast up round 3s, 2s+1s dance 1/2 R &L (E2s end 2nd place opposite sides) to 1, 2x, 3. 17-24 1s+2s set & petronella turn moving anti-clockwise to next position to right, 1s+22s prat to 2,1X, 3. Despite the intricacy of the steps, I enjoyed the dancing. Previously, I had only taken two Scottish dance lessons, but those with experience very kindly led novices, like me, through the steps. Laughing at mistakes is part of the fun, and of course, dancers can “improvise” to cover any missteps.